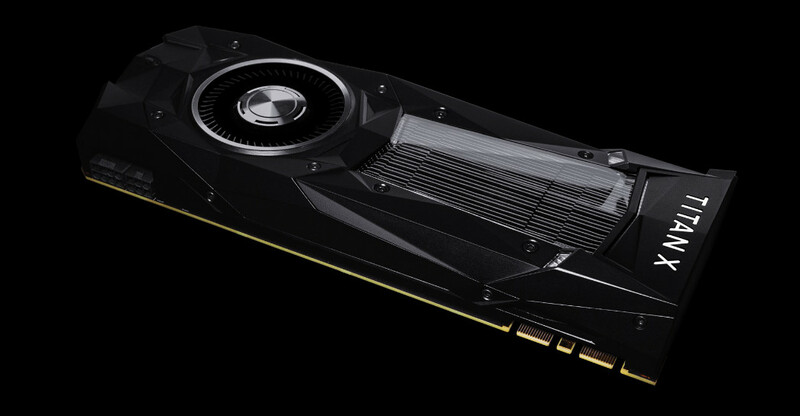 Based on their Pascal architecture, NVIDIA has announced their top-end GPU the 'TITAN Xp' and it's an absolute monster of a card. NVIDIA only announced their 1080 Ti back in March, so I was wondering if they would do another TITAN. It has 3840 cuda cores with a memory speed of 11.4 Gbps and a massive 12 GB GDDR5X with an impressive memory bandwidth of 547.7 GB/s. It supports a max resolution of 7680x4320 at 60Hz, for those high definition display you're all hoarding. You can find the full specification and more info here. It will cost a small fortune at £1,159.00 so you might want to sell a few limbs. Would you be looking to buy one? I can only imagine the performance levels with something like that. My 980ti is sounding a little old right now, but I still personally want to move to an AMD GPU to take advantage of the open source Mesa drivers. Still, I can't help feeling excited by how GPUs have progressed in recent years to be able to get a behemoth like this. I don't get who/what these cards are aimed at? This behemoth will likely retail for well over a grand, given that the plain 1080s are still around the £500-600 mark and the TI edition is £800-900. I mean, there's top-end gaming, and then there's just flushing money out the window! scaine I don't get who/what these cards are aimed at? This behemoth will likely retail for well over a grand, given that the plain 1080s are still around the £500-600 mark and the TI edition is £800-900. I mean, there's top-end gaming, and then there's just flushing money out the window! Quote I don't get who/what these cards are aimed at? Cuda developers, university academics and the like. Well goddam! They've lost my business then! IBM has worked with NVidia to incorporate their GPU's into high performance computing servers. This could well fit into some supercomputer type applications (and could also explain the initial limit of 2 per customer?).. 2 per customer so they can use SLI. The Nvidia Linux driver is a binary version of the windows 10 driver, bundled up for Linux. Any performance differences between windows and Linux on Nvidia is more down to the quality of the: OpenGL port, OpenGL itself, Middleware, Lack of developer investment/knowlage, Engine inefficiencies between platforms etc.. I doubt the Linux driver will "bring it down like a rock" because you can apply the same theory to the windows driver by that logic.